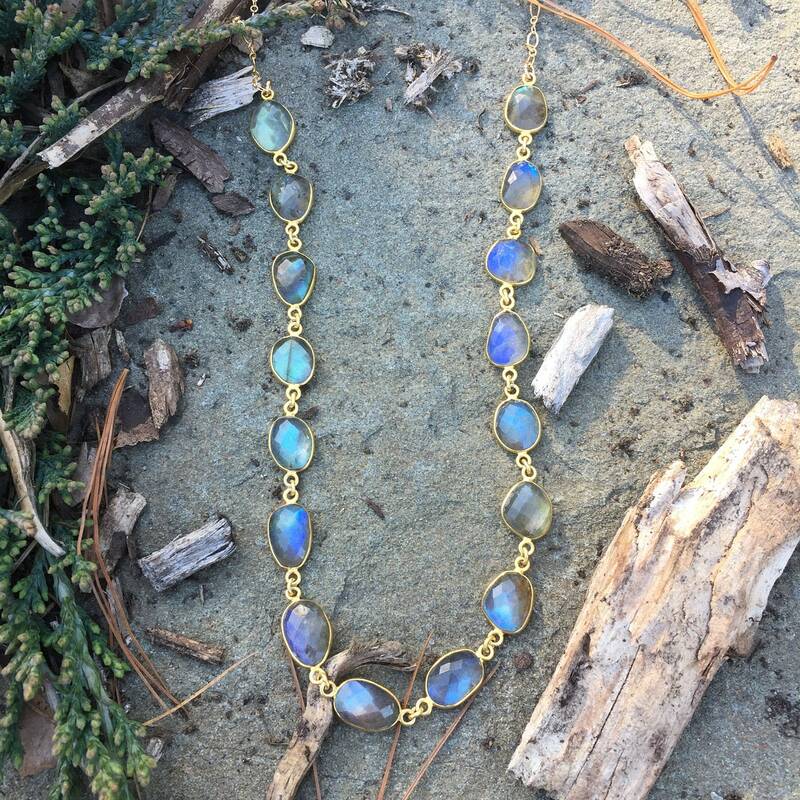 Super deluxe labradorite freeform bezel-set gold vermeil necklace on a special 14K gold-filled ovals and rounds chain in a long 30 inch length so it sits below the bust. 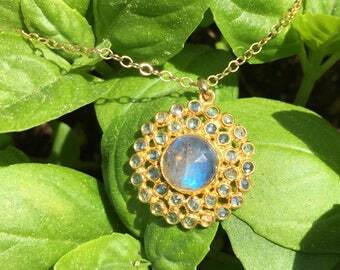 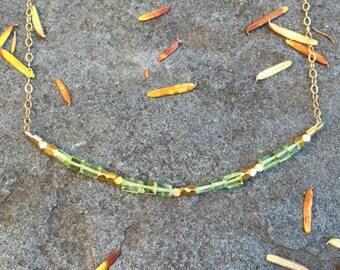 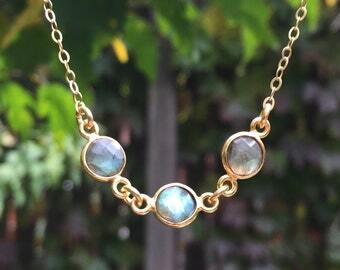 This necklace features 16 gorgeous labradorites that flash their green and blue labradorescence so beautifully! 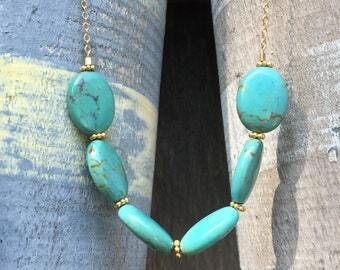 Perfect for any day you want to feel extra special. 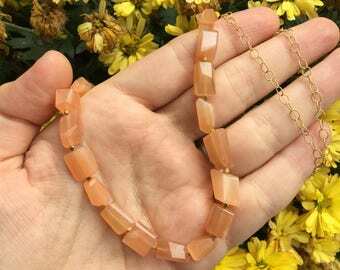 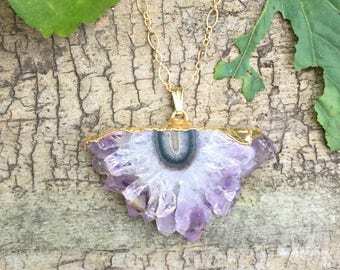 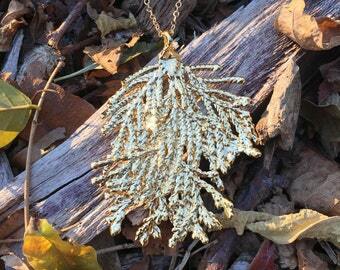 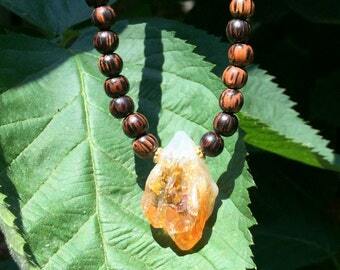 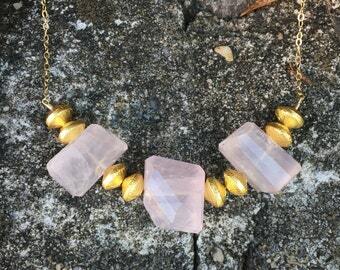 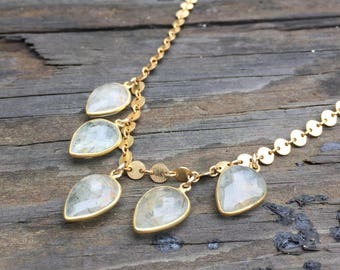 You will receive a necklace as beautiful as this one!